At Cavalier Automotive all of our technicians are ASE Certified and have the knowledge to perform service on all vehicle makes and models. 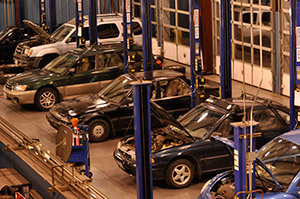 We work on every car on the road from small cars and trucks to 18,000lb trucks. We are a well-rounded auto repair shop that can handle all of your vehicle’s needs from oil changes, to brake repair, to transmission work and more! When in need of quality auto repair, Troutville customers turn to the expertise of Cavalier’s friendly technicians. Give us a call today or schedule an appointment online! At Cavalier Automotive, our fleet program is the perfect choice for companies in and around Troutville who need reliable and dependable service for their fleets. 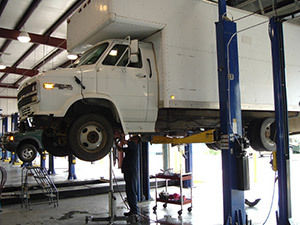 Our ASE Certified Technicians are experts in preventative maintenance and can help you keep your fleet services reliable. What this means is that we have the latest diagnostic tools to help pinpoint the problem and get you back on the road as quickly as possible. If you have any questions about a specific fleet service, please contact us and we’ll be happy to answer them! 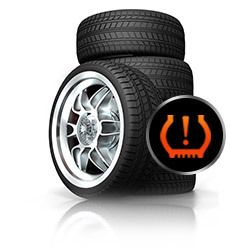 A Tire-Pressure Monitoring System is an electronic system designed to monitor the air pressure inside the pneumatic tires on various types of vehicles. 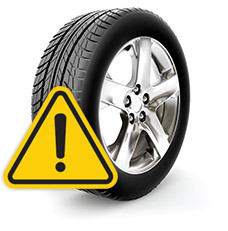 A road hazard occurs when a tire fails due to a puncture, cut, impact break, stone drill, bruise, bulge, and snag or break incurred during the course of normal driving on a maintained road.